Check out our Best VPN for Fire TV Stick guide updated for 2019. The Fire TV Stick and Fire TV have revolutionised the way we consume online TV and other content but although they can do a lot, one thing they can’t do is protect your online privacy or viewing habits. This is where a VPN comes into play, but which is the Best VPN for Firestick? More importantly, which is the best in 2018? We found there are plenty of “Best VPN for Firestick” guides out there but most are outdated. They’re either written before 2018 or they’re claimed to be “updated” in 2018 but most of the recommendations don’t work leading us to wonder if anything else but the title was updated. For that reason we’ve been testing a whole host of VPN services to find out which works best with the Amazon devices and put together this 2018 guide to save you both time and money. All you need to do is choose one of the five recommended services below. 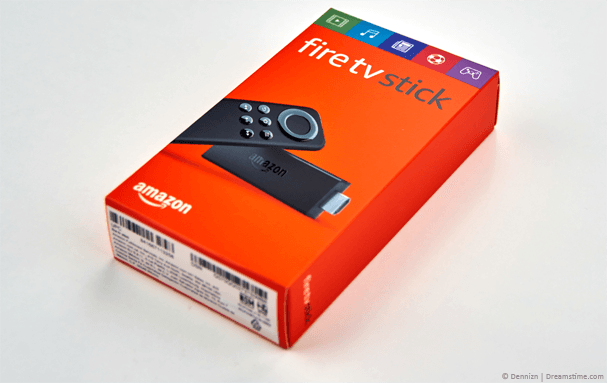 As a note when we refer to the Firestick we mean both the Fire TV and Fire TV Stick (Generation 2). ExpressVPN wasn’t originally going to make this list. Although they offer one of the best VPN services they didn’t have a dedicated Firestick app. This changed recently when they released their very first dedicated Firestick app. The app is similar to their mobile client and allows you to connect quickly without needing to do any complicated set-up. It’s one of the best Firestick apps we’ve seen. We especially like the fact ExpressVPN have VPN connection points in over 94 countries across the world which gives you plenty of choice for connecting and accessing TV services from overseas. The speeds on the service are good and we didn’t suffer any buffering or other issues when streaming on the Firestick. One of the best features is the 30-day money back guarantee. If you want to test the service first risk-free then it allows you to use it on your Firestick for a month and if it’s not for you then you can get a full refund. IPVanish makes a top choice when it comes to using a VPN service on the Amazon Firestick or Fire TV. They were one of the first services to offer a dedicated Amazon app for the devices making connection to their VPN service incredibly easy. Unlike some other providers, the IPVanish app has been created specifically with the Firestick devices in mind which means navigating around with the remote control works as expected and connection is simply a case of clicking a few buttons. One of our favourite features of the service is the fact their servers offer fast speeds. This is essential when streaming on your Firestick because it means you won’t suffer any buffering or stuttering. With VPN servers in more than 60 countries, you’ll also be able to access geo-blocked content and blocked add-ons. There are also absolutely no-logs of what you do while connected to their service, nor any logs of the times you connected, the server you were assigned or anything else. This protects your Firestick viewing habits so only you know what you watched or did. VPN.ac is another provider that has a dedicated Amazon app for the Firestick and Fire TV. This makes connecting to a VPN service easy and quick. If you want to protect your viewing habits and other Firestick use with a VPN then you’ll appreciate the simplicity of the VPN.ac Firestick app. The service also features some of the best speeds we’ve seen from a VPN provider. If you like to stream in high quality or do other high speed tasks on your Firestick then VPN.ac will certainly have you covered. 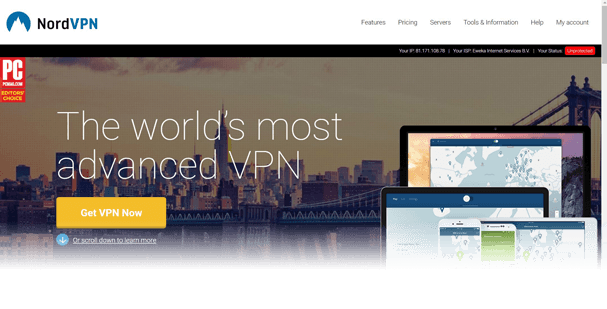 The service does feature fewer server locations than many other VPN providers, however the quality of those limited locations in most cases far outperforms the competition. VPN.ac can be used on up to 6 devices at the same time so not only can you secure your Firestick but also your range of other devices too. Unfortunately, NordVPN doesn’t have a dedicated Amazon app and the three providers above pretty much wrap up services that do offer a dedicated app. If for some reason you’re not overly concerned about having a dedicated Firestick app then NordVPN makes a great option. If you’re using only the Firestick remote then it’s almost impossible to navigate the app but if you use something like a bluetooth mouse then NordVPN works perfectly fine on the Fire TV and Firestick. You’ll need to use an additional app such as Downloader to install the Android app directly onto your Firestick device and can find more about how to do that here. Once you’ve got it installed you’ll be rewarded with a fast VPN service that offers good protection. We really like the fact they’ve got dedicated servers for certain uses such as P2P which will be great if you like to stream Kodi on your Firestick. If you’re a little unsure about NordVPN on your Firestick then the 30-day money back guarantee will come in use. OK, PrivateInternetAccess doesn’t work great with the Firestick and in our opinion you should really choose either IPVanish, ExpressVPN or VPN.ac which have dedicated Amazon apps. However, if for some crazy reason you don’t want to use any of those three then the good news is PrivateInternetAccess half-works on the Firestick. 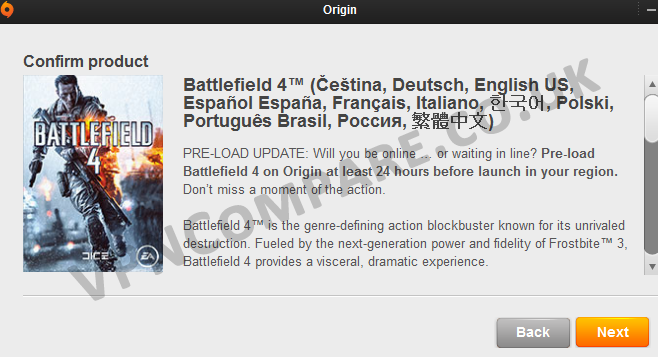 You’ll need to install their Android app using the Downloader app. Once installed you can get connected but it appears it’s impossible to choose a server, rather you’ll be connected to a random server. This will of course protect your privacy but if you’re trying to connect to a specific country for a purpose then you’ll be sadly out of luck. If you’re happy to persevere with the semi-working app then you’ll be rewarded with an extremely cheap VPN service for your Firestick. You can also use it on up to 5 devices at the same time allowing you to protect other devices in your household. PrivateInternetAccess has between 1 – 2 million customers which means their service is pretty damn good for all those people to trust them. If you can get over their Firestick shortcomings then they may just be suitable for you. Choosing a VPN for the Firestick is incredibly difficult. There are some 1000 commercial VPN providers out there but just a tiny percentage support the Firestick directly. It’s a bit of an odd situation. The Firestick has become one of the most popular home streaming devices in the developed world yet the level of support from mainstream VPN providers is minimal. The first step to choosing the Best VPN for Firestick is to consult an updated guide for 2018, this will ensure that the service you subscribe to supports the Firestick. For example, VPN.ac only launched their dedicated Firestick app towards the end of 2017 and ExpressVPN launched theirs at the start of 2018. If you’re reading a guide from 2017, 2016 or before you’ll end up with invalid and outdated information. We recommend choosing one of the first three providers in this guide. If they’re not for you then the remaining 2 also make good options, they just work slightly less well with the Firestick. The most obvious answer is it allows you to protect your online privacy just as it would on a computer or mobile device. As more companies vacuum up information about us and store more data on what we do it is imperative to protect your online privacy as much as possible. A VPN will allow you to protect your viewing habits so third-parties won’t know what you’re watching or accessing. It’s likely however that Amazon will still know depending on what apps you use on your Firestick. If you’re a Kodi user then a VPN is essential. If you want to protect what you stream and what add-ons you use then a VPN is a required piece of kit for Kodi installations on the Firestick. Not only will a VPN on your Firestick protect your viewing habits but it will also allow you to access services not intended for your country. For example if you wanted to watch the Firestick BBC iPlayer app but you’re outside the UK then you would be blocked. A VPN allows you to bypass this block and stream from anywhere in the world. This VPN services recommended in this guide will work with all Fire TV devices. They will also work with Fire TV Stick Generation 2 devices. You will know you’ve got a Generation 2 Fire TV Stick because it has the built in voice remote system Alexa. If your Fire TV Stick doesn’t have Alexa then it means you have a Generation 1 Fire TV Stick and unfortunately VPN services do not work with this type of device at all. If you’ve got a Generation 1 Fire TV Stick then you’ll need to purchase the updated edition from Amazon which can be found here. We know searching for a VPN is the last thing you want to do. After all, it’s time consuming and we’re sure you could spend your time doing something better. Not only is it time consuming but it can also be expensive. How many VPN providers do you need to test before you finally get one that’s suitable for your Firestick and more importantly suitable for your needs? It is for this very reason that we’ve done the hard work for you. We’ve tried and tested and researched VPN services until breaking point to find the best for the Firestick. If you want our recommendation, get one of the top three listed VPN services in this guide, they have dedicated Firestick apps which will make your life a whole lot easier. The other two aren’t bad either, although they’re missing a feature or two. If you’re a still a little unsure or sceptical then use this guide as a starting point. Why not check out a few of the recommended providers? They all have money back guarantees so if they’re not for you or you can’t get it working then simply get your money back. Thanks for your excellent advice. I live in rural France and have basic old fashioned internent connection with slow speed. Will this affect the use of a VPN or Firestick for casting etc.Your advice will be appreciated please. Thanks for your comment. Unfortunately, yes. The slow speed will affect both. Using the Firestick on its own may suffer then coupled with a VPN it will affect it some more. Do you know the exact speed of your internet connection?